We are a family of 4. 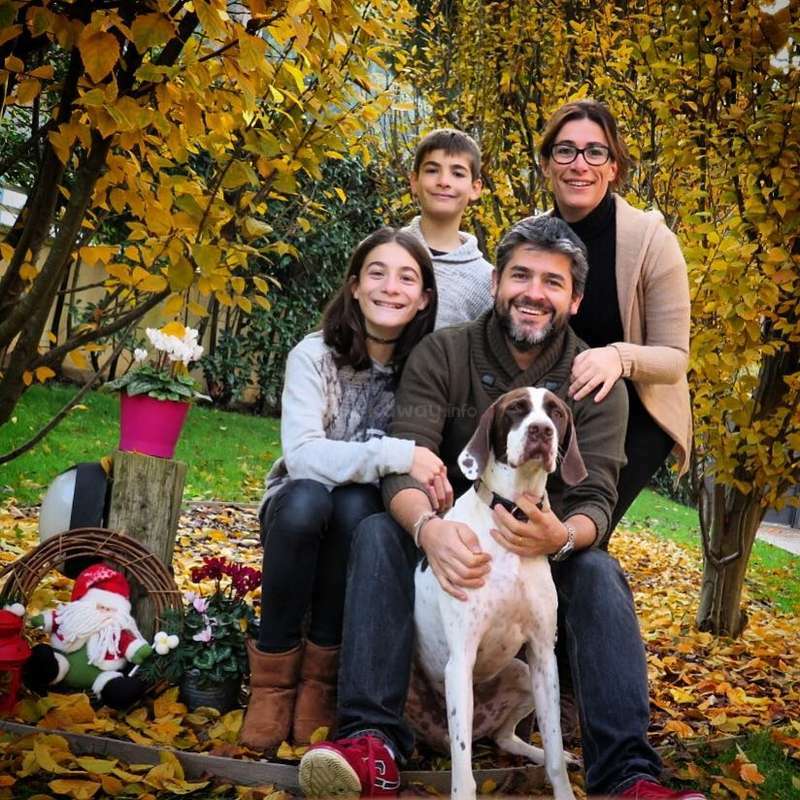 Rafa and Gisela, and our 2 kids, Júlia aged 15 and Gerard aged 13 and Fred, our dog! 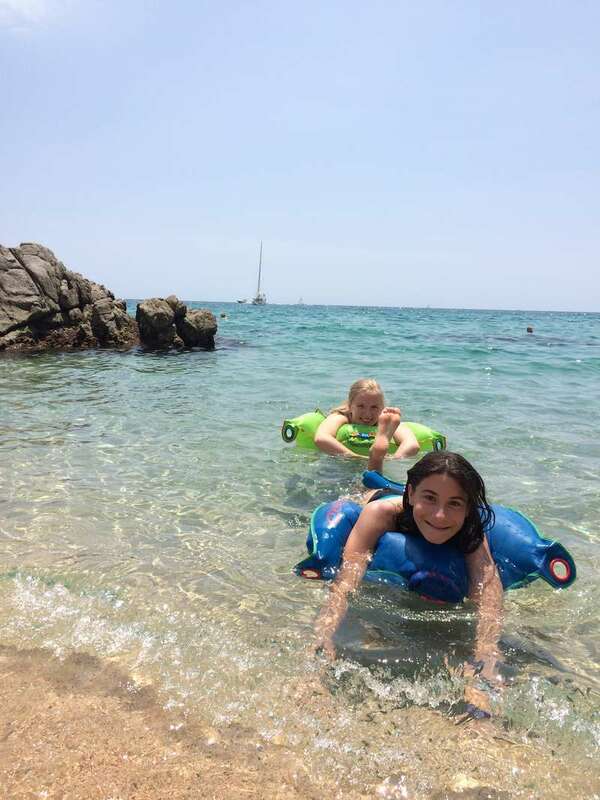 We live in Vallromanes, a small , calm and charming village situated between the mountains, 15' by car from Masnou beach , 30' by bus from Granollers and 30' by train from Barcelona. We are an open and friendly family happy to share traditions and show the area to workawayers. We always Do a outside activities on weekends, and we are happy to add you in our family plans from minute one! You would have a lot of free time every morning until 15:00., it's when we need you as julia and Gerard get home from school. We would appreciate a morning walk to Fred. Plenty of free time during the day until 3pm and then normal family duties, just as part of the family, it's an easy way of cultural exchange. Having a nice talk while cooking, helping around with the kids, or just sharing time together. We would love to know about your country and culture and we would be very proud of share ours with you. We live in a house, with private garden and swimming pool. We also have a little basketball loop. You will have your private room and bathroom in the basement, to be independent in case you need privacy. In exchange of your help with english practice , we would provide you food and accomodation, and full use of the house as the rest of the family. We do have an assistant who do house chorus. We thought it would be a great idea to have a native english speaker to give my kids the opportunity to practice their english in an easy and natural way. Improving our kids english is our main goal. So we would love to have someone with good skills of English and who really like kids, to enjoy talking and spend time with them and become part of our family. Family values are important for us. We like to do outside activities on weekends and get some fresh air, as we are very busy with daily duties during the week. 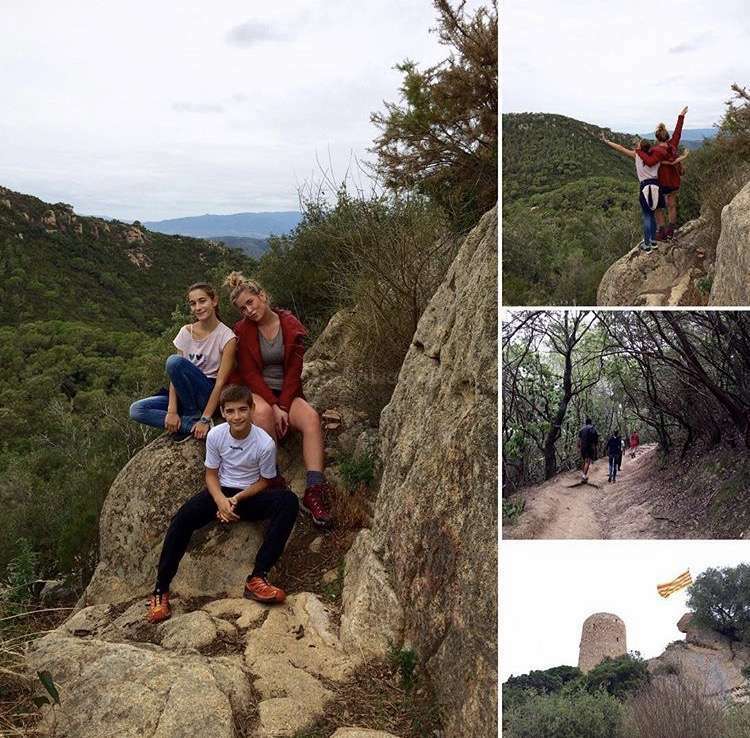 we like hiking, skiing, biking, but we also enjoy just having a nice and relaxing walk in Granollers, or having dinner with friends and neighbours, or watching Saturday evening movie all together in the sofa. We prefer stays of a month minimum. There is a gym in the neighbourhood, and we can provide a bike for your use. Some other families in the village have workawayers. Our neighbours next door use workaway too. We already had several experiences hosting young people and we loved it. So we are waiting to share a new experience with you. Skying in the Pyrenees with Ines. 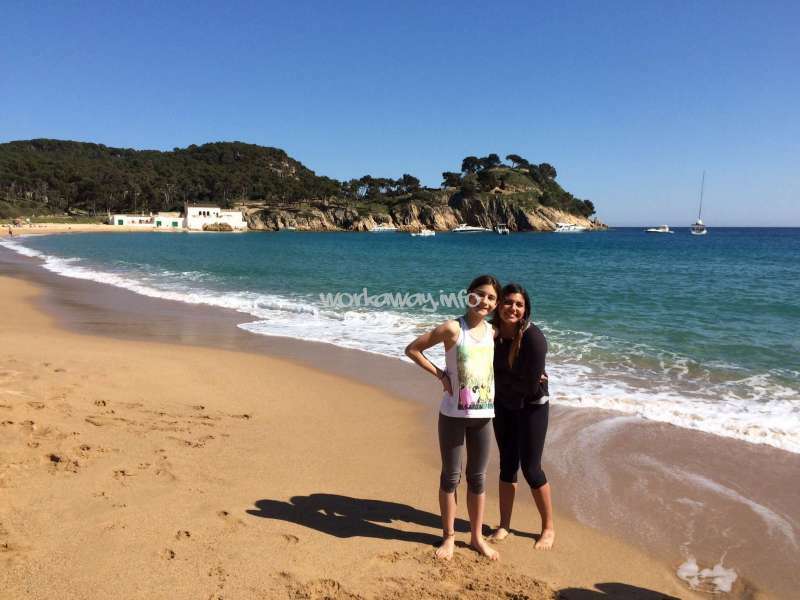 Spring walk in la Costa Brava with Lexie. 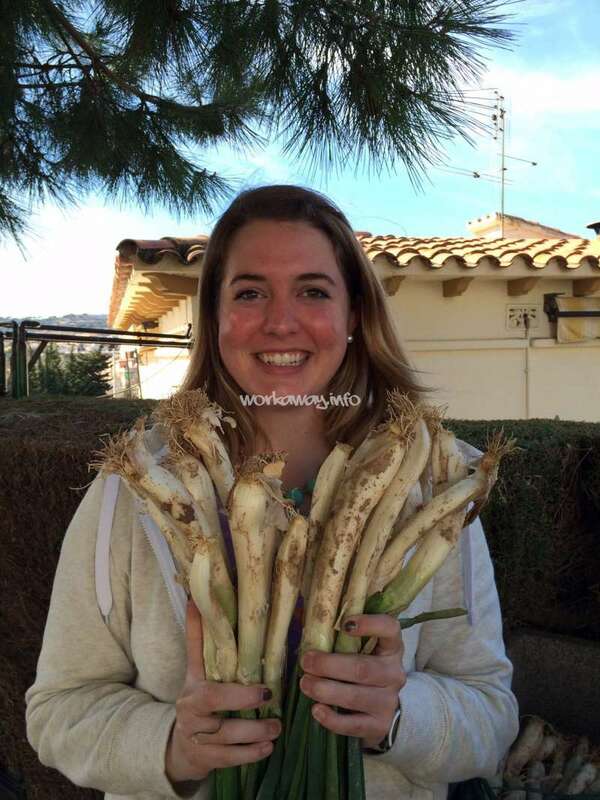 Laura loved calçots, and became catalan last day! When you welcome someone at home, and you feel she is happy, then everyday is smooth like silk. Just one of the team from minute one. Contagious laugh. Mari is someone that it is a pleasure to have at home. Extremely easy doing. just feeling sorry because now you became watermelon and coffe addicted, hahahaha. I don't know how are you going to… read more handle it! Fred is missing his walks with you! Thanks you for choosing us, and share your time with us. I stayed with this wonderful family for 7 weeks and it was honestly the best experience I could have asked for! From the minute I stepped through their front door I felt so welcomed and at ease - instantly at home! Throughout my stay I was bowled over by their kindness and generosity. Nothing was too much, and they would literally go out of their… read more way to help me, which I am so grateful for!! Gisela found me a physiotherapist when my knee was bad, made me an appointment, drove me there AND sat in the session with me as translator!!! She helped me with public transport and planning for trips to Barcelona and Girona and she even took me to her sister's opticians when I said I would like to buy some good quality sunglasses!! These are just a few examples, but they show how kind-hearted these people are and how when you enter their home you really do become part of their family. 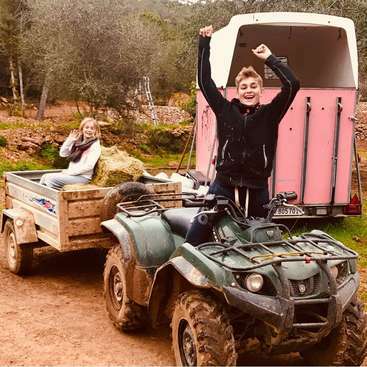 They would take care to include me in any plans they had, asking if I wanted to come along regardless of whether it was to the beach or to the supermarket, again making me feel completely at home and part of the family. On the weekends I spent with them we would go for day trips walking or to visit nice villages or to the seaside, and then in the evenings we would watch movies and relax. I also went to Barcelona several times, which is an amazing city - I would recommend Sant Jordi Gracia as a hostel to stay in! 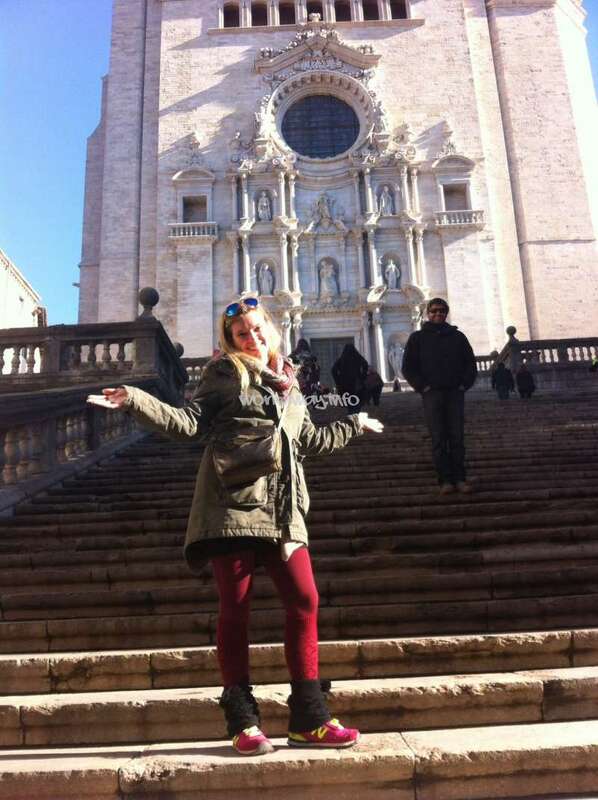 I went to the beautiful Girona twice too, and Granollers during the week which is a really nice town. The town they live in is beautiful and up in the hills, lovely forest walks to do with Fred, who by the way, is the best! I miss him alot. He's such a sweetheart! They cooked the best food, every night was a feast! and one thing I miss ALOT is having watermelon for dessert everyday - so good!!! I can tell you, Welsh watermelon is not the same haha. To sum it up, they are a great, funny, happy and truly good-hearted family - you would be so lucky to stay with them. 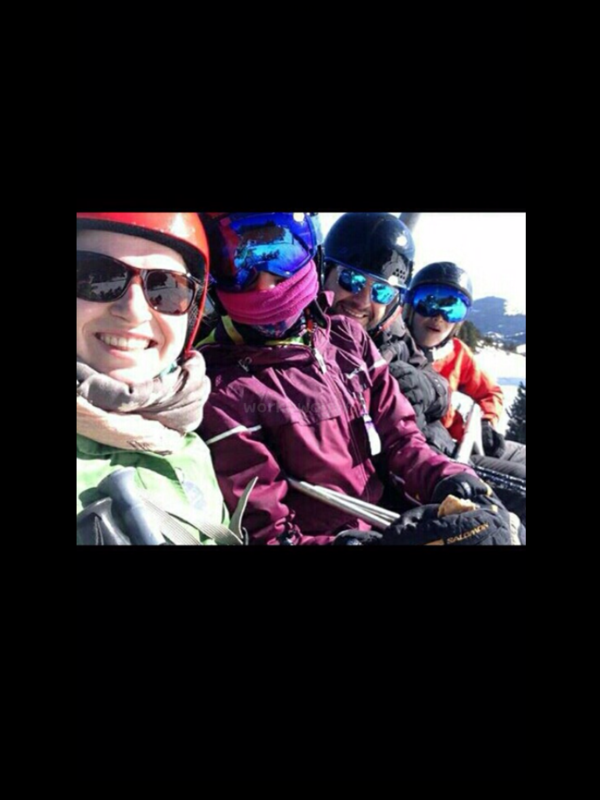 Ines stayed with us and the experience was wonderful. 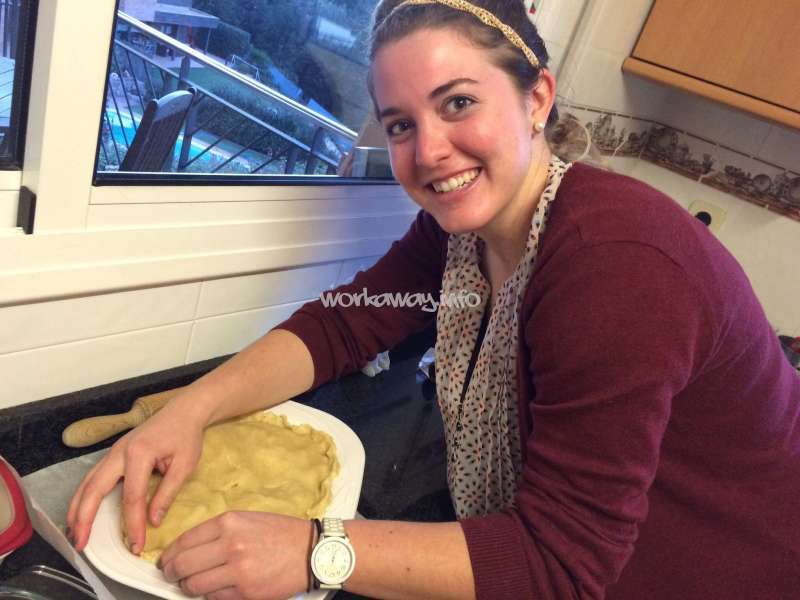 Besides her lovely and delicious apple recipes, yummy, yummy, Ines is funny, talkative, helpful, always with a nice mood. 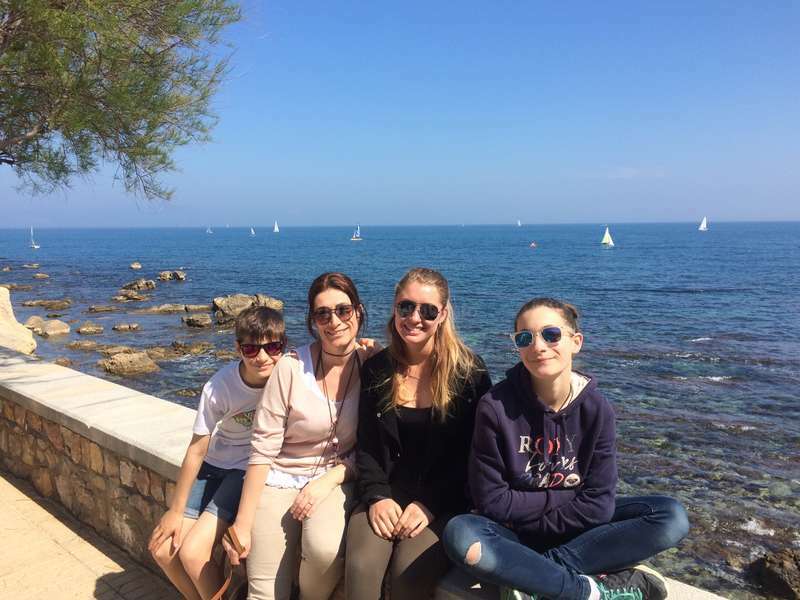 She experience around and visit Barcelona, and always came back with funny stories to share with us. I still can't stop laughing thinking of you "lost" at the bus station ,… read more and up and down at the square looking for the bus. Hahahaha. Funny time we spent together , and nice laughs. Thanks for sharing with us. Any time welcome! P.s. Sorry for the late replay! Staying with this family has been my very first workaway experience and i must say- i cannot find words to describe how grateful i am and how amazing my time has been. I lived with Rafa, Gisela, Julia and Gerard for one month and every single day has been so nice. They taught me so much about the catalan culture, the traditions and the amazing… read more food. We had a lot of fun and both children are so funny and lovely, you cannot call it work to spend time with them. 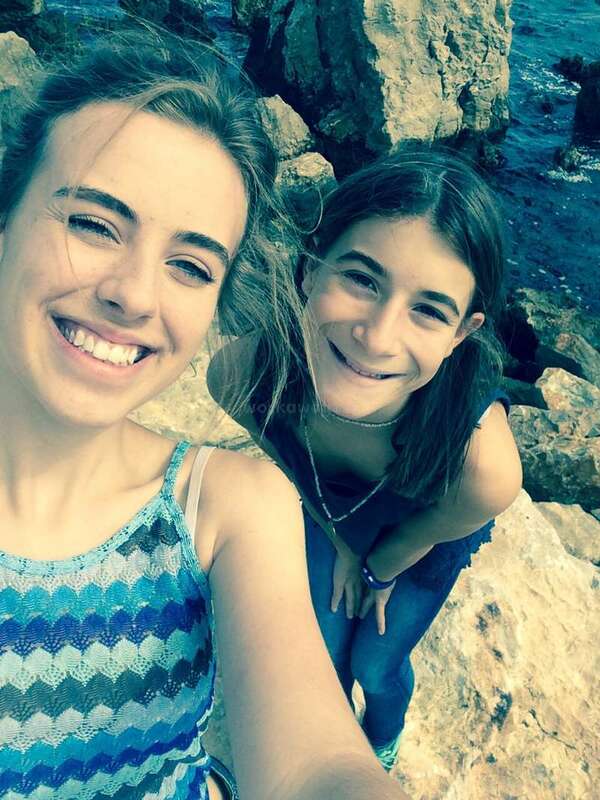 In the week ends Gisela always helped me to organize a trip to Barcelona or elsewhere (Girona is also so so nice) and otherwise I loved staying with the family because there was always something that we did and got to know. They showed me Barcelona by night, we went to pick asparagus in nature and they even took me with them when going skiing in the north of Spain!! It has been so so much fun! I love this family and i thank them so much for this amazing welcomeness, i felt like being a family member and they'll always be my catalan home. Olivia has been with us for 3 months. Actually is one of the longest stays we had. So I hope she could feel like… read more home and Family. 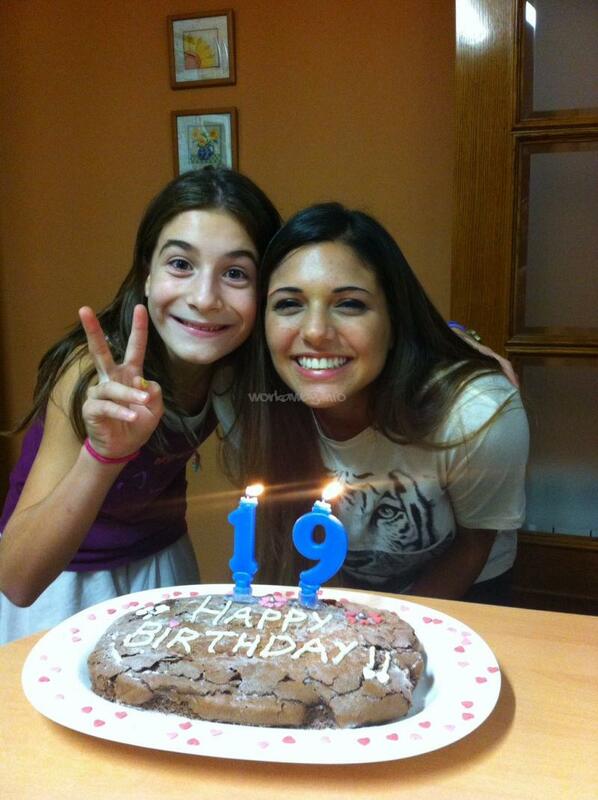 Actually she was always with a one of the sweetest smile ever, even though Olivia was sick. We wish her the best in her futures plans. So grateful to have had my first expierence using workaway with Gisela, Rafa, julia, and Gerard. I lived with this family 3 months and it was unforgettable. I was immediately welcomed. I ended up arriving in Spain horribly sick, Gisela stepped up right away to make me feel comfortable and cared for. 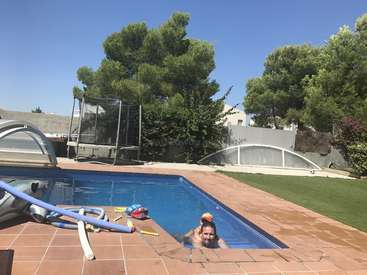 She was incredibly generous and took so much of… read more her time to help me plan trips and weekends away to see the rest of Spain. Their house is beautiful and the food and cooking is delicious. There truly was never a dull moment with this family, always laughing and smiling. Gisela and Rafa went out of their way to take me hiking and exploring. If you love active, fun, loving people, this is the family for you. Julia and Gerard are beautiful children. Their English is incredible and they're truly the sweetest beings I have met. So lucky to have had the opportunity to become part of this family. Miss you all very much! We shared some weeks with Lauren this summer 2016. 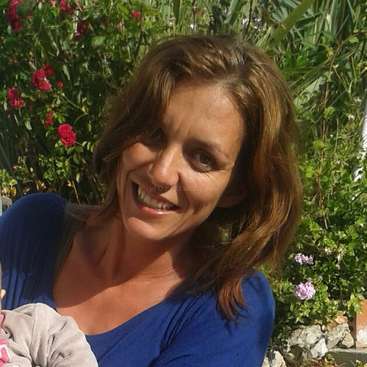 I hope she also enjoyed her stay with us… read more and keep a good memory of her time with us, her Catalan family ever. What can I say from Natali? Easygoing, friendly, helpful and always with a nice smile. As we didn't know very much about New Zealand we were delighted to hear all the stories she shared with us, recipes , and the New Zealand famous haka, which we can now perform as a native! Hahaha. Julia and Gerard had great time with her and they enjoyed a lot… read more the time spent together, the games , and the New Zealand fort in our living room she built for them! I hope she had a nice and relaxing time us and also learned a little from our Catalan culture. We are so thankful for having the opportunity of meeting such a nice and interesting people as Natali. We miss her, and wish her the best in future. You always have a house whenever you come to Europe again! If you have not only the pleasure but the privilege to stay with the Feliu's I would highly highly recommend it. From the moment I met them I was instantly welcomed like family. Not once did I feel uncomfortable or unwelcome. They were my first experience with workaway and I can honestly say it was the best experience I've ever had. They are… read more genuinely the nicest family I have had the pleasure of staying with. It was very very hard to say goodbye. I miss them more and more every day that I am gone. I miss pizza and movie nights with you, sleeping on my hammock, beating you at card games, finding the biggest asparagus! Rafas cooking and our nightly tea talks (London's tea isn't as good as ours!) I cannot thank you enough for opening your home to me and teaching me so much about your family and your culture and country. And especially your laundry and cooking secrets ;) hahah. Staying with you changed my life personally forever and I will always be so grateful for the opportunities you have given me. 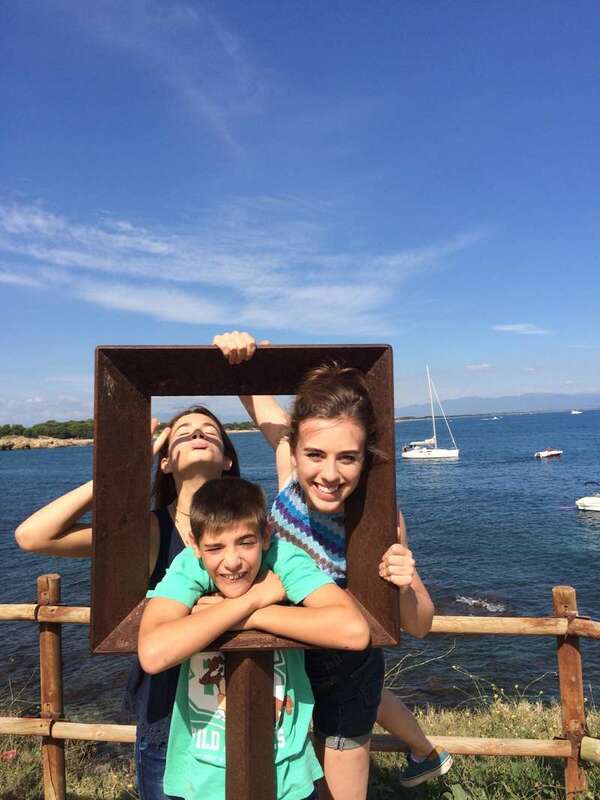 Words cannot describe my love for my crazy Catalan family. I miss my little sister and my goodnight kiss with gere! There's nothing to see in Europe, just stay with them as long as possible. Four weeks is not enough!!! I would like to thank Lexie she decided to come and share a part of her life with us, and once again I have to say 4 weeks are not enough!! When we started with work away program and this "sharing experience" we didn't know we were going to be so lucky meeting such a nice people. Lexie is full of energy, always ready to help, with a lovely… read more smile. Polite and sweet. Kids love loved her, we all do and miss her so much. She made things so easy with Julia and Gerard, with Rafa and me, and with our dog Fred! He also miss his morning walk! She left one week ago, and there is no day without talking about her. How is possible with only 4 week I feel her like part of us? Isn't that amazing? I also hope you enjoyed your stay with us, and enjoyed sharing our family life. Send me the pictures when you bake all the easy recipes for your grandma! You will be the queen of the kitchen! I hope our paths can cross again in the future, and I hope we will keep in contact, as Canada is soooo far away. And remember, I will always have a cup of tea ready for you, whenever you want to come back. My sweet Cassandra stayed with us for seven weeks, the shortest seven weeks in our lives! Sometimes it's hard to believe how lucky we are being, sharing our lives with someone we didn't know 7 weeks ago, but now we know we will keep in contact for life. That's amazing, isn't it? Cassandra it's been very nice, funny and sensitive. She was one of… read more us, just after saying hello. So easy. Julia loved to have an older sister, she enjoyed the fancy lunch they shared, and the new recipes Cass showed her, and Gerard is missing their crazy and funny morning walks to the school. Next time don't come for ONLY 7 WEEKS! It's too short, I didn't have time for nothing! You missed mushroom picking! And setting Christmas decoration! I miss your talking, your laughing, your lovely singing. I remember the first time I heard you singing and playing... Goosebumps. Just beautiful. I miss you having you here. We shared funny and good moments we will remember from your stay here, and you know you have a home whenever you want to come back. And I hope all our ideas and crazybusiness are successful in Canada! Wish you and your family best in life. It is safe to say I now have family in Vallromanes and a home there as well. My seven weeks with Gisela, Rafa, Julia and Gerard went by way too fast. It's hard to believe this website brought me one of the most amazing learning/loving experiences of my life. I never dreamt I would have been so lucky to be welcomed into such a caring family with… read more open arms. Being a big sister for Gerard and Julia was the best job I could have asked for and I loved our early morning walks to school and playing games in the afternoon and on the weekends. Every day I learned a new bit of Catalan culture, whether it was big or small and I am so in love with their culture and lives! New foods that I never thought I would get to try or didn't know I even liked! I had no idea how beautiful the Barcelona area is, in only an hours drive you are amongst mountains and nature and we did this every weekend! All in all, I miss the family terribly and I couldn't recommend them more! They love bringing the world into their home and they love teaching and sharing their world with you. It is a wonderful trade off. My incredible Catalan experience!!!!!!! I have so much love for this family, they are truly one of the kindest, friendliest and most fun family I have ever met! I had SO much fun with them, playing games, visiting places, talking and laughing. They showed me Catalan traditions (interesting...), food (great and plentiful!) and took me to see some… read more beautiful places. The area is stunning in the mountains and so easy to visit Barcelona which is amazing! I even met friends, family, teachers - everyone so lovely and accommodating. I have so many happy memories from my month in Vallromanes. Thank you Gisela, Rafa, Julia and Gerard for the best experience of my life! I will miss our piano duets, pillow fights, Dubsmashes, games of Cheat and Spoons and... the melons. But I will miss you all more and I look forward to the day that I can come back! She became part of the family from minute one. and saying good bye was really sad to me. 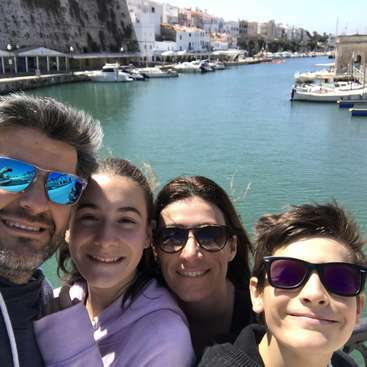 Holly, your Catalan family is waiting for you whenever you want to come back. Thank you for every minute, sweetydarling. Jodie stayed with us during 6 weeks, and we enjoyed every single second. She's been like a daugther to us and older sister to our kids. They just loved her! Funny, friendly and full of energy. It's incredible, in this big and crazy world, how easy it is to link to someone you never know before, and become a part of your family easy and… read more fast. You will always be our princess, bonita. Hope we see you again! Laura is one of the nicest persons we ever met. She's is being so easy, and adaptable. She made things easy, nice and funny. Kids loved her at the very first minute. She played with them, shared funny american recepies as s'mores, danced cheerleaders choreography, built an american fort in our living room...they just loved her! Her friends… read more and family are very lucky to have her in their lives. Laura , you know you have a house in vallromanes whenever you come back. 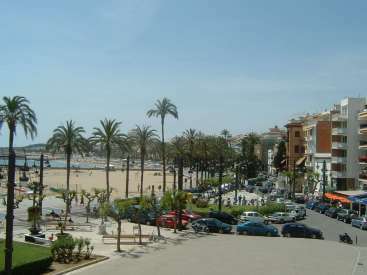 They showed me their area, took me skiing and to Barcelona, and introduced me to friends, family members, and neighbors. I could go on forever about how much I loved my time with them. I'm very grateful for this Workaway experience and hope we cross paths again! I love this family! Sarah left, tears on our eyes at the airport. Thank you for sharing a part of your life with us. Thank you for being so easy going and for always having a smile. She became a part of our family from the very first second. And you know you are very welcome any time! Sarah bonita, un… read more abrazo fuerte. 4 months ago Gisela asked me to become part of her family and I am very glad I said YES! I bonded immediately with my host family. 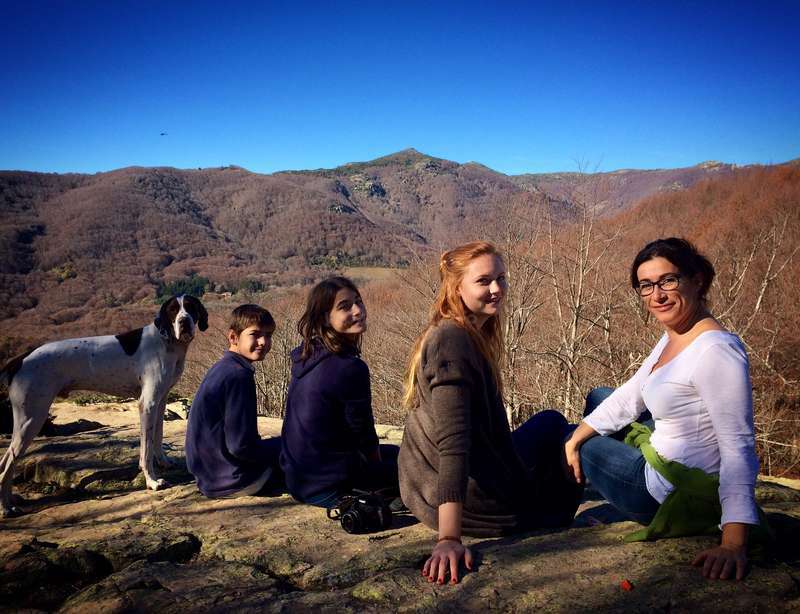 I couldn't imagine a better first workaway-host than this warm, lovely family. We shared almost 2 months together and I know I can come over anytime, I am always welcome. Literally everything is negotiable in this… read more family. There are only opportunities, no problems. And the best part is: the children Gérard and Julia are very sweet! They are very well-behaved and a lot of fun to hang out with to improve their english. When the children went to school I spent a lot of time mountainbiking with Fred, the dog. I can only recommend this family!